Recently, you turned your dream of owning a resort property into a reality. While you absolutely adore your exciting new career, you’re concerned about the upcoming winter months. You’re unsure if your business is prepared to weather the snowstorms that typically impact your area of the country. If you can relate to this situation, understanding potential scenarios that might occur during inclement weather is smart. 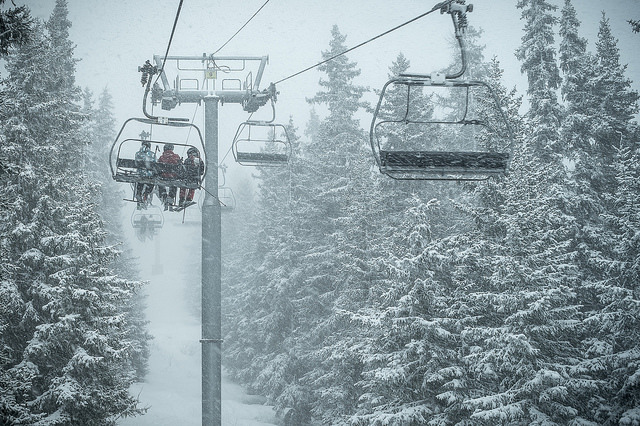 Snowstorms can affect resort properties in the following ways. Snowstorms can cripple transportation. For instance, the roads to and from your resort property might be unsafe to drive on. Flights to the airport near your business may be delayed or canceled. Due to transportation woes, guests might not be able to arrive at your resort on time. Likewise, employees and vendors may have a hard time getting to your establishment. When the weather is harsh outside, guests may be stuck indoors for long periods of time. Therefore, investing in something to occupy their time is a great idea. For instance, you might wish to stock a library for guests to take advantage of on bitterly cold days and nights. Buying board games is another viable option. Snowstorms can make the outside of your resort property treacherous. Because protecting the safety of your guests is of utmost importance, consider having a snow and ice removal company on speed dial. A snow and ice removal business can help you avoid liabilities by keeping walkways and entryways clear of ice. Does your resort property stay booked during the winter months? Perhaps, your business is located near a popular ski slope or ice fishing destination. When snowstorms hit your area, you can likely expect some guests to cancel their reservations. To foster repeat visits from your guests, think about providing full refunds for cancellations made due to harsh weather. Snowstorms can cause widespread power outages. To keep things running smoothly at your resort property when the electricity goes out, invest in a quality generator. Storing adequate amounts of gasoline for your generator is also essential. You might also wish to purchase candles or lanterns for guests to utilize in case your generator malfunctions. Owning and running a resort property can be extremely thrilling and rewarding. In the business world, knowledge is power. Therefore, knowing how snowstorms can impact your resort property may give you an advantage over your competition.